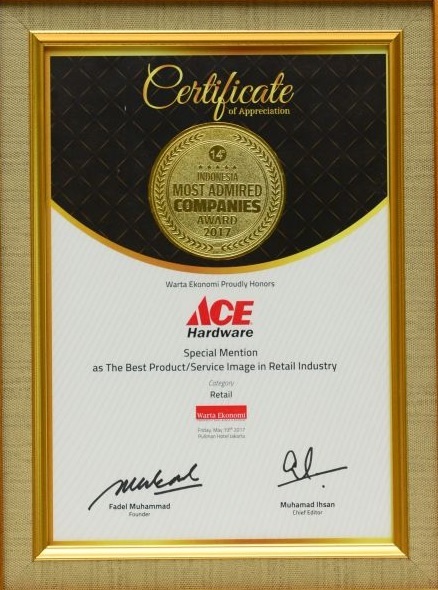 The Best Product/Service Image in Retail Industry. 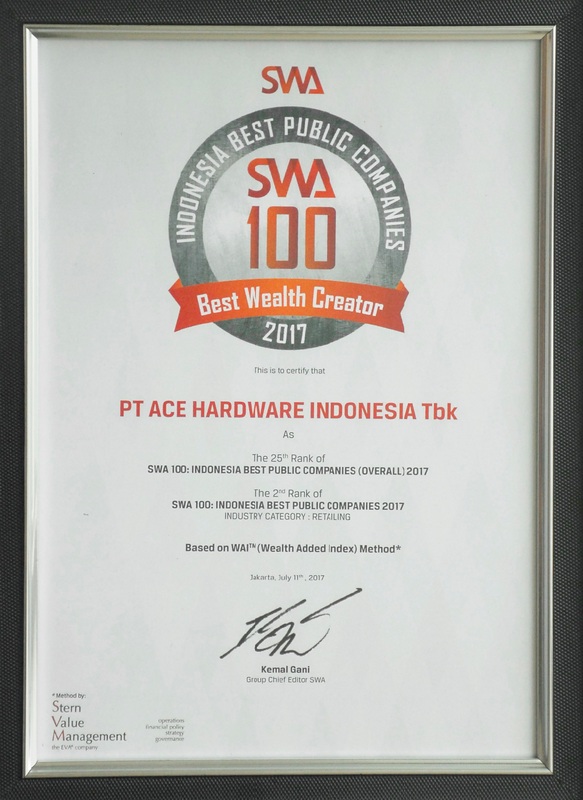 Host: Warta Ekonomi. Category: Retail. Host: Warta Ekonomi. 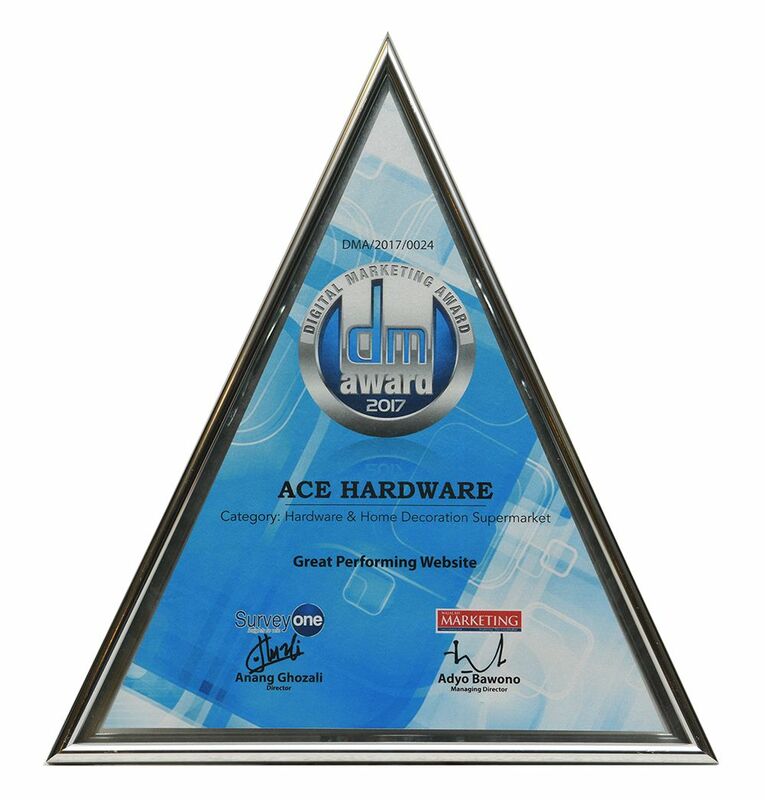 Category: Hardware & Home Decoration Supermarket. 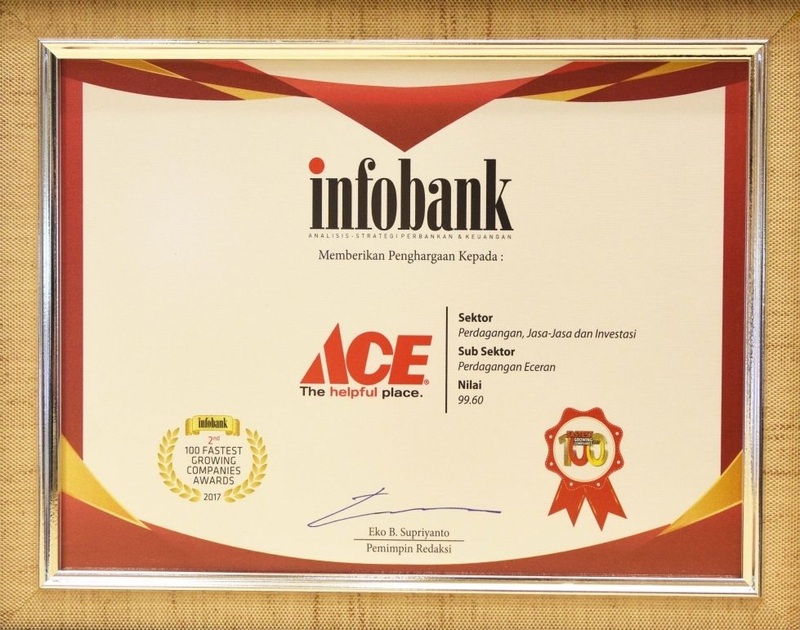 Host: Frontier Consulting Group and Majalah Marketing. 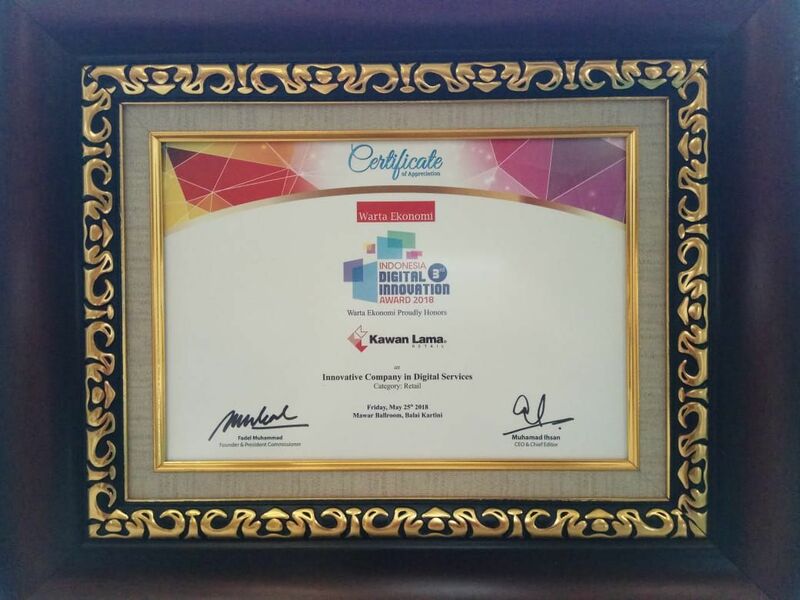 Great Performing Brand in Social Media. 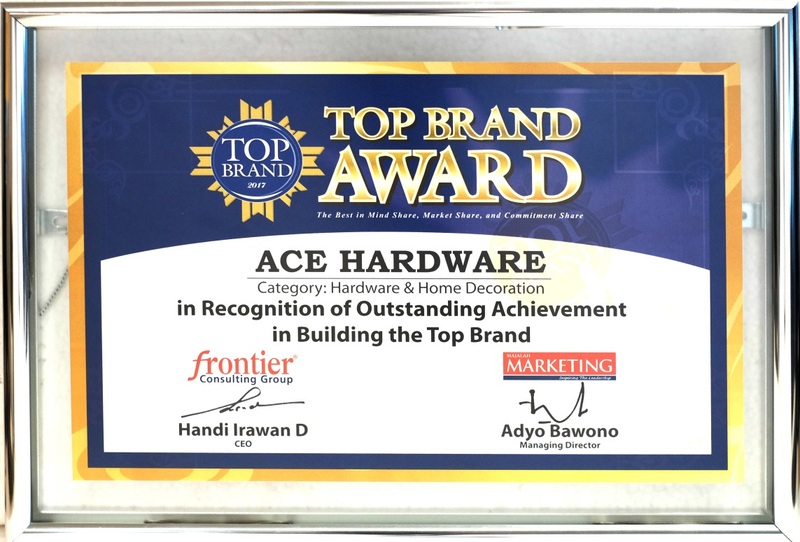 Category: Hardware & Home Decoration Supermarket. Host: Majalah Marketing. Great Performing Website. 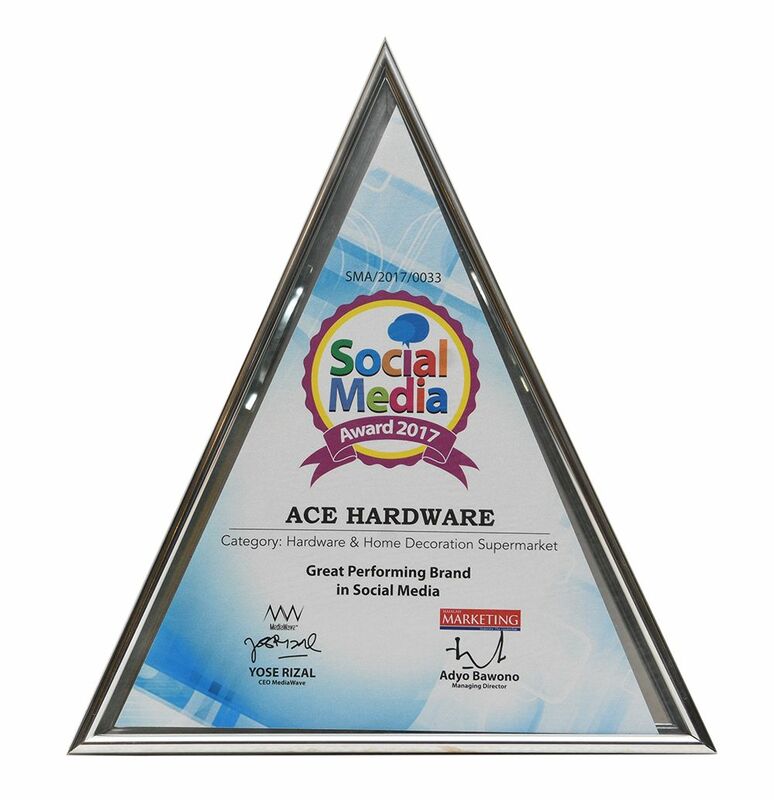 Category: Hardware & Home Decoration Supermarket. Host: Majalah Marketing. 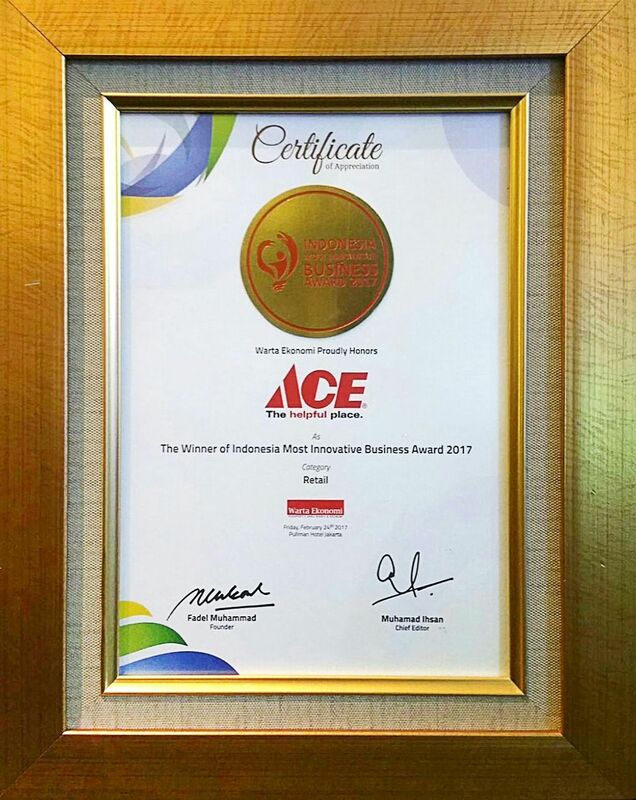 ACE has recently garnered a special recognition as one of 100 Fastest Growing Companies 2017 in trade, service & investment for retail sub-sector from a total of 355 nominees measuring their financial performance over the past five years & taking into account the sustainability & growth factors.